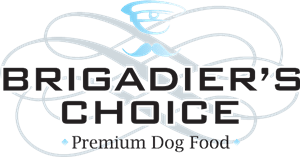 Brigadier’s Choice brings you a premium dog food that delivers top quality nutrition at an affordable price. All diets are complete, balanced and hypo-allergenic, formulated to meet the unique dietry requirements of your pet. Don’t compromise on nutrition, feed Brigadier’s Choice Premium Dog Food and start saving today. This contains a highly digestable source of protein and it is fomulated without wheat or wheat gluten. Not only does this product contain a full complement of vitamins and minerals, but it also contains omega-3 and 6, zinc and biotin to encourage a healthy skin and coat on your puppy. It has added prebiotics which act to promote digestion through the growth of healthy gut bacteria and the product also has the added benefit of containing added glucosamine, MSM and chondrotin sulphate. When combined, these three ingredients will encourage joint repair and mobility in your puppy. Crude Protein 30%, Crude Oils & Fats 14%, Crude Fibre 2.5%, Crude Ash 9.5%, Omega-3 0.78%. Poultry Meal, Rice, Maize, Oats, Sugar Beet Pulp, Fish Meal, Chicken, Hydrolysate, Brewers Yeast, Egg Powder, Linseeds, Salmon Oil, Minerals, Vitamins, DL-Methionine, Mannanoligosaccharides, Fructooligosaccharides, L-Camitine, Yucca Schidigera Extract, Glucosamine, Methylsulfonylmethane, Chondroitin Sulphate. This palatable product provides a complete diet with a full complement of vitamins and minerals. The formulation is hypoallergenic because it is formulated without wheat and wheat gluten. It is highly digestible due to the protein source. 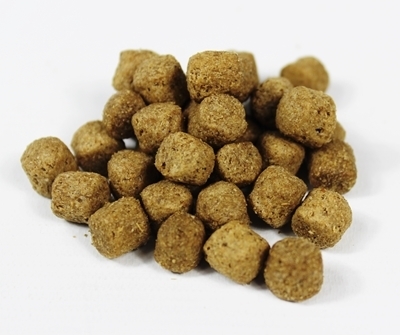 This kibble also has the added benefit of containing omega-3 and 6 fatty acids and zinc and biotin which will promote a healthy skin and coat. Crude Protein 20%, Crude Oils & Fats 8%, Crude Fibre 4%, Crude Ash 9%, Omega-6 1.83%, Omega-3 0.25%. This hypoallergenic kibble is formulated to provide a complete diet. It is ideal for dogs with sensitive stomachs, as it is offers a single protein source and has no added grains. The added potato content provides a highly digestible source of carbohydrates. The diet also contains a full complement of vitamins and minerals along with omega-3 and 6, zinc and biotin to maintain a healthy skin and coat. Crude Protein 26%, Crude Oils & Fats 12%, Crude Fibre 4%, Crude Ash 10%, Omega-6 2.42%, Omega-3 0.64%. 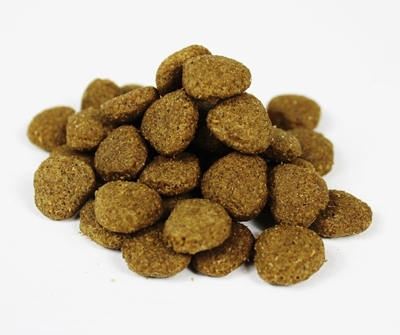 This hypoallergenic kibble is formulated to provide a complete diet which is highly palatable and digestible to your pet. It contains a full complement of vitamins and minerals along with omega-3 and 6, zinc and biotin to support a healthy skin and coat. Crude Protein 22%, Crude Oils & Fats 8.5%, Crude Fibre 2.5%, Crude Ash 8.5%, Omega-6 2.24%, Omega-3 0.69%. Lamb Meal (26%), Rice (26%), Barley, Oats, Brewers Yeast, Poultry Fat, Sugar Beet Pulp, Lamb Digest, Minerals, Vitamins, Yucca Schidigera Extract. 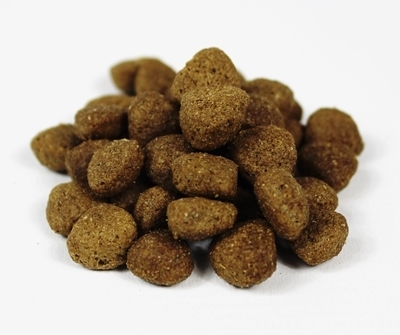 This kibble has been specially formulated to provide a highly palatable complete diet for your dog. It contains an exceptionally digestible source of protein and a full complement of vitamins and minerals. It is hypoallergenic because it is formulated without wheat and wheat gluten so that it is ideal for sensitive stomachs. It has the added benefit of omega-3 and 6, zinc and biotin which act to promote a healthy skin and coat. Crude Protein 24%, Crude Oils & Fats 12%, Crude Fibre 4%, Crude Ash 7%, Omega-6 1.6%, Omega-3 1.09%. Salmon (includes 36.5%; 24% Salmon & 12.5% Salmon Meal), Potato (26%), Oats, Maize, Sugar Beet Pulp, Poultry Fat, Salmon Digest, Minerals, Salmon Oil, Vitamins. 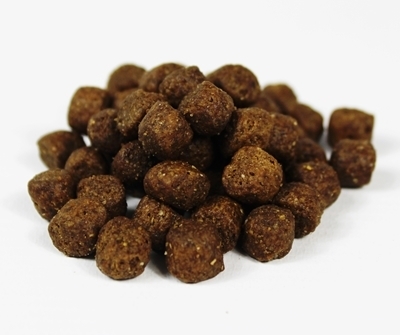 This hypoallergenic product has been formulated to be highly digestible and palatable to your dog. It will provide a complete diet and it contains a full complement of vitamins and minerals. It has the added benefit of omega-3 and 6, zinc and biotin which act to promote a healthy skin and coat. It also has the benefit of Glucosamine, Methylsulfonylmethane and Chondroitin Sulphate which aid joint repair and mobility. Crude Protein 21%, Crude Oils & Fats 10%, Crude Fibre 4%, Crude Ash 7.5%, Omega-6 2.1%, Omega-3 0.9%. Turkey Meal (26%), Rice (26%), Oats, Barley, Linseeds, Lucerne, Poultry Fat, Minerals, Seaweed, Vitamins. 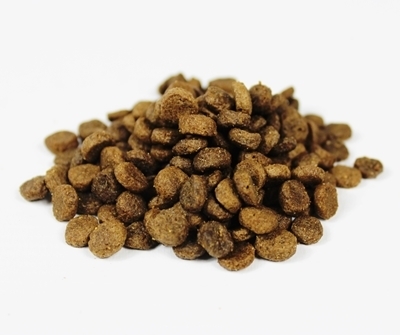 This highly palatable product provides a complete diet and it contains all the vitamins and minerals that your puppy will require over their growth phase. The kibble is specially formulated as hypoallergenic. This means it is formulated without wheat and wheat gluten and thus it is gentle on your puppy’s stomach. It contains a highly digestible source of protein and it has the added benefit of omega-3 and 6 fatty acids and zinc and biotin which will promote a healthy skin and coat on your puppy. Most importantly, it contains the correct ratio of protein to fat to ensure the ideal amount of growth occurs. Crude Protein 27%, Crude Oils & Fats 15%, Crude Fibre 3.5%, Crude Ash 7%. Salmon (24%), Potato (15%), Salmon Meal (11%), Potato Protein (11%), Barley, Oats, Poultry Fat, Peas, Sugar Beet Pulp, Salmon Digest, Salmon Oil, Minerals, Vitamins. This kibble is highly digestible, palatable and hypoallergenic. It is specially formulated without wheat and wheat gluten to provide a complete diet. It contains a full complement of vitamins and minerals with the addition of omega-3 and 6 fatty acids, zinc and biotin to promote a healthy skin and coat. It will also promote joint mobility and repair because it contains glucosamine, MSM and chondrotin sulphate. It is specifically formulated to provide the correct ratio of protein to fat to ensure ideal growth and maintenance nutrition for your large breed dog. Crude Protein 23%, Crude Oils & Fats 14%, Crude Fibre 4%, Crude Ash 7.5%, Omega-6 0.5%, Omega-3 0.7%. Poultry Meal (26%), Rice (26%), Barley, Oats, Poultry Fat, Sugar Beet Pulp, Chicken Hydrolysate, Brewers Yeast, Salmon Oil, Minerals, Vitamins, Glucosamine (0.03%), Methylsulfonylmethane (0.03%), Chondroitin Sulphate (0.02%). 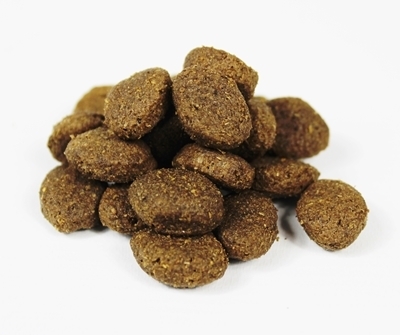 This hypoallergenic kibble has been specially formulated to provide a diet for your dog that is highly palatable and complete. 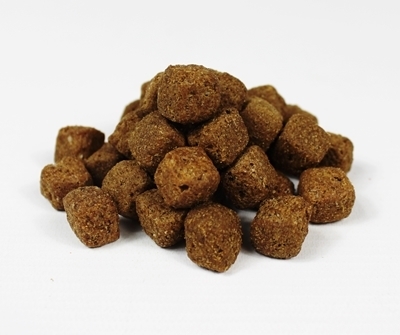 The smaller size kibble makes it a perfect choice for small dogs, and the highly digestible salmon content is ideal for selective or sensitive eaters. The added Maize content helps to promote oral health and the full complement of vitamins and minerals help maintain a healthy immune system. The diet also has the added benefit of omega-3 and 6, zinc and biotin which act to promote a healthy skin and coat. Crude Protein 23%, Crude Oils & Fats 12%, Crude Fibre 4%, Crude Ash 7%, Omega-6 1.67%, Omega-3 1.59%. Salmon 36% (includes; 23% Salmon & 13% Salmon Meal), Potato (24%), Oats, Maize, Sugar Beet Pulp, Poultry Fat, Salmon Oil, Salmon Digest, Minerals, Vitamins. This kibble has been specially formulated for the senior canine because it contains glucosamine, MSM and chondrotin sulphate which help to promote joint repair and mobility. The product provides a complete diet of which is hypoallergenic because it was formulated without wheat or wheat gluten. It contains a full complement of vitamins and minerals and has the added benefit of omega-3 and 6, zinc and biotin which act to promote a healthy skin and coat. Importantly, it has the correct ratio of protein to fat to ensure a low calorie content which acts to prevent weight gain. Crude Protein 20%, Crude Oils & Fats 7.5%, Crude Fibre 3%, Crude Ash 7%, Omega-6 0.63%, Omega-3 1.3%. Rice, Fish Meal, Barley, Oats, Poultry Fat, Sugar Beet Pulp, Peas, Brewers Yeast, Minerals, Vitamins, Yucca Schidigera Extract, Glucosamine, Methylsulfonylmethane, Chondroitin Sulphate.